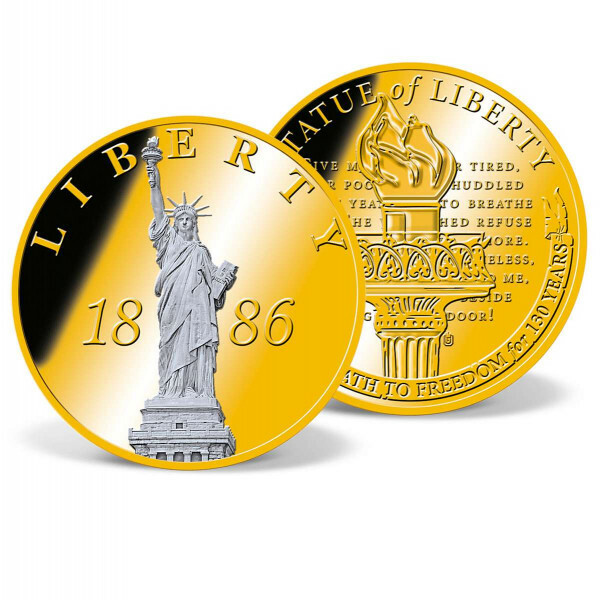 Includes a free preview of future issues in the collection 130 Years of Liberty . For more information, please refer to the Satisfaction Guarantee tab below. If you do not wish to preview future issues in the collection, you may purchase the single item using the 'Individual Item Only' tab at right. She stands more than 300 feet tall and is recognized around the world as the quintessential symbol of freedom and American values. The Statue of Liberty has welcomed countless immigrants and visitors to America since her dedication on October 28, 1886. Officially entitled "Liberty Enlightening the World, she was a gift from the people of France to the United States for the centennialcelebration of America's independence. Following the September 11th attacks, the statue and Liberty Island were immediately closed to the public. Limited access was reinstated in August 2004. The Statue of Liberty was reopened in full in 2009. Today, Lady Liberty continues to watch over New York City from her very own island in the New York Harbor, lighting the way for a world in search of freedom.